One of a kind, handmade 100% Pure Silk on Silk Carpet made in the finest quality. This stunning color is unique and very seldom found. Due to its uniqueness, this Turquoise beauty shall light up any space it is placed in. - Absolutely gorgeous and intricately hand woven by our very talented craftsman. 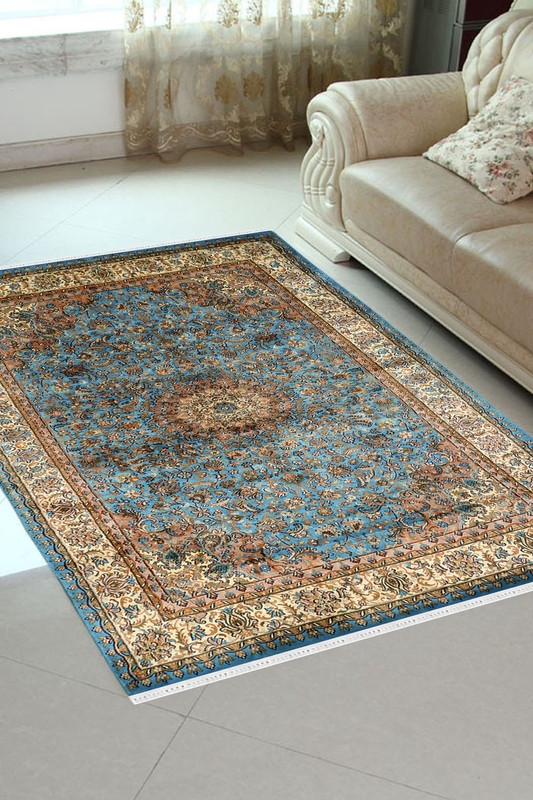 - This Turquoise Beauty is 100% handmade Kashmir silk carpet . - The time of period to weave this carpet is about 7 months. - The base is silk and top in pure Kashmir silk. Number of Knots in this rug are about 576 knots per square inch.